Discover Islam In Tamil: Samsung Engineering says its consortium secured US$ 4.2 bln order from Bahrain Sitra expansion Project !! Samsung Engineering says its consortium secured US$ 4.2 bln order from Bahrain Sitra expansion Project !! 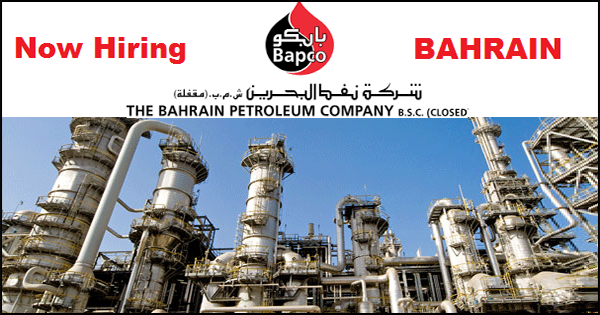 Bahrain Petroleum Company (Bapco) has received bids from international construction companies to expand its Sitra oil refinery, industry sources said. It aims to boost the processing capacity of the Gulf country’s only oil refinery to 360,000 barrels per day (bpd) from 267,000 bpd under its BAPCO Modernisation Program (BMP) which is expected to cost about $5 billion. 4th - CB&I, Petrofac and Japan’s Mitsui and Co.
Bidding had been expected to close in Last October 2016, however it was extended due to the scale of the project. The contract is expected to be awarded by the first quarter of 2017 . The deal would raise Bahrain Petroleum's capacity to refine crude oil to 360,000 barrels per day from the current 267,000 barrels. So Finally Samsung Engineering Co., a major South Korean industrial plant builder, said Friday that its consortium has secured a US$4.2 billion deal to modernize refinery facilities for the Bahrain Petroleum Co. The South Korean company said its stake in the joint project is worth $1.35 billion. It added that the consortium includes French engineering company Technip and Spain's oil engineer Tecnicas Reunidas. Source : Yonhap News Agency, South Korea.